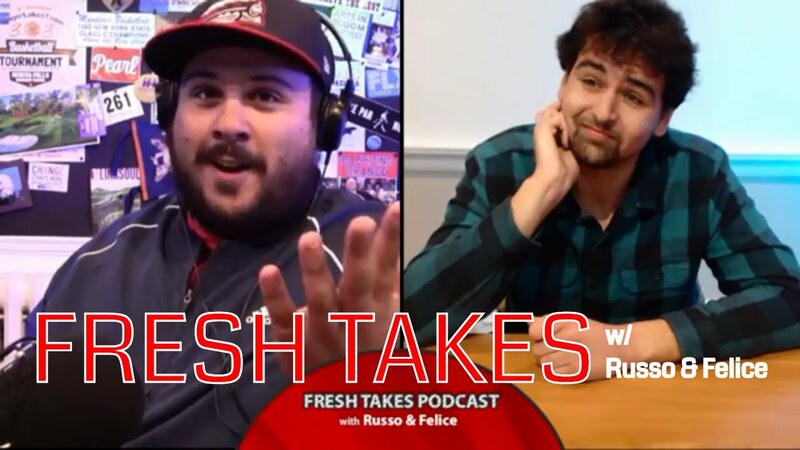 On this week’s episode of Fresh Takes w/ Russo & Felice, Antonio Brown lands with John Gruden and the Raiders, potential drama in Golden State with Draymond Green and Steve Kerr and college hoops revs up for March Madness. The best hour of local sports talk on web is live every Tuesday night at 10 pm. 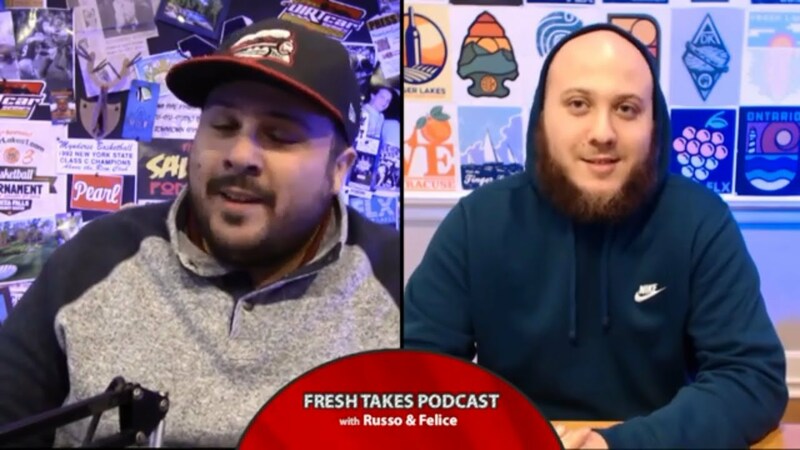 College basketball kicks off another season and Paul Russo and Nick Felice spotlight some early games of significance along with Syracuse football’s rise to #13 in the polls and the latest from the wide-open playoff chase in the National Football League. Also, the demise of Rick Grimes on The Walking Dead and the Impractical Jokers tour visits Rochester. The Corning process of beef as originated in Corning, NY. How exactly is it done, and why is it so delicious. Did you hear about the gorilla that was on the loose at a Buffalo zoo on Monday afternoon? Take the Cinnamon Challenge and spend an hour or so in the Sauce. Watch a recorded video webcast of our latest episode at FingerLakes1.TV.